juni 2010 | 460 blz. 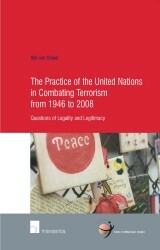 This book analyses the practice of the General Assembly and the Security Council in combating terrorism. It analyses the adopted counter-terrorism measures of both organs in terms of their legality and legitimacy.